If the world was to start again from scratch, what role would you play in building up a new society armed with all the skills and knowledge you have? With the benefit of hindsight, what investments, systems, policies or brands would you build that are better than those which rule the world we live in today? Decentraland is a blank canvas offering you these very opportunities… in a 360° virtual world. Decentraland is an exciting virtual reality platform built on the Ethereum Blockchain. The platform can be run in a web browser or on a VR headset and is the first of its kind to be completely owned by its users. It is Decentralised. Anyone can buy and own their very own piece of the Metaverse to do with as they wish. Build a luxury villa, hang out with friends, start a business, make money, learn a new skill, teach others your skill, watch some live music, gamble, build and play games or applications, the opportunities are endless with the only limit being your imagination. Decentraland is made up of LAND parcels, which are purchased by individual owners and investors to do with what they want, and Districts, which are owned and run by community groups with a common interest. The initial area of land is known as Genesis City and is made up of 90,000 LAND parcels. It is roughly the size of Washington DC. 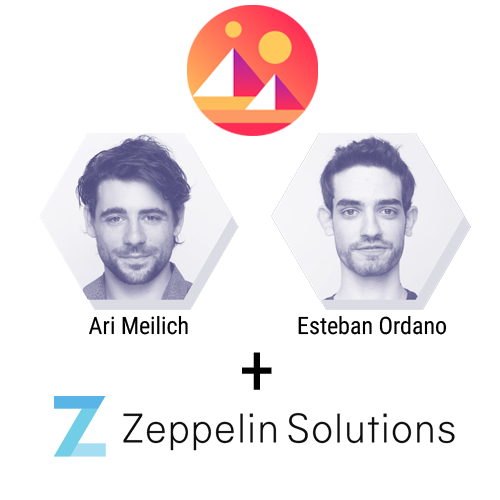 The Decentraland team is based in Buenos Aires and headed up by Ari Meilich who is the Project Lead, along with Esteban Ordano in the role of Tech Lead. The rest of the team is made up of members of Zeppelin (a highly skilled hacker community in Buenos Aires) and other team members based around the world. They are also supported by several advisors who are highly skilled and experienced in a large number of areas. The team are partnered with district0x, Aragon and imToken who work in collaboration to help build out some of the more complex infrastructure that happens behind the scenes.